Sam Golzari (Persian : سام گلزاری‎; born 12 July 1979) is a British actor of Iranian descent active in the United States. He is known for his debut role in American Dreamz. Persian, also known by its endonym Farsi, is one of the Western Iranian languages within the Indo-Iranian branch of the Indo-European language family. It is primarily spoken in Iran, Afghanistan, and Tajikistan, Uzbekistan and some other regions which historically were Persianate societies and considered part of Greater Iran. It is written right to left in the Persian alphabet, a modified variant of the Arabic script, which itself evolved from the Aramaic alphabet. Michael Joseph Jackson was an American singer, songwriter and dancer. Dubbed the "King of Pop", he is regarded as one of the most significant cultural icons of the 20th century and one of the greatest entertainers of all time. Jackson's contributions to music, dance, and fashion, along with his publicized personal life, made him a global figure in popular culture for over four decades. The Latino Theater Company (LTC) is a theatre producing organization based in Los Angeles, California. After college graduation, Golzari landed the first Hollywood film for which he auditioned, American Dreamz . 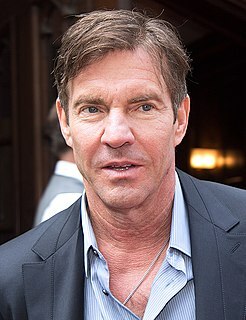 In the film he stars alongside Hugh Grant, Mandy Moore and Dennis Quaid. Since that film, he plays the role of Kameron in the film 21 alongside Jim Sturgess and Kevin Spacey. He has also worked with Tony Shalhoub on the film AmericanEast , as well as an all-improv mockumentary, Juan Francis: Live, produced by Norman Lear. Hugh John Mungo Grant is an English actor and film producer. 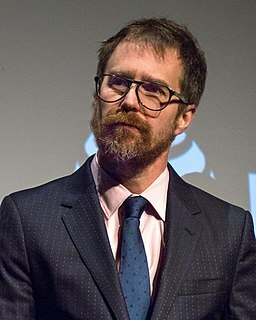 Grant has received a Golden Globe, a BAFTA, and an Honorary César for his work. As of 2018, his films have grossed a total of nearly US$3 billion worldwide from 29 theatrical releases. He first received attention after earning the Volpi Cup for his performance in the film Maurice (1987) but achieved international success after appearing in Four Weddings and a Funeral (1994). He used this breakthrough role as a frequent cinematic persona during the 1990s, delivering comic performances in films such as Mickey Blue Eyes (1999) and Notting Hill (1999). 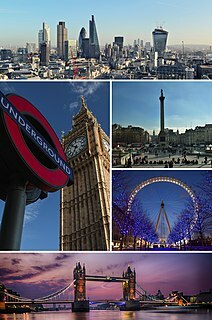 One of the best known figures in 1990s British popular culture, Grant was then in a high-profile relationship with Elizabeth Hurley, which was the focus of much attention in the British and international media. Amanda Leigh Moore is an American singer-songwriter and actress. In 1999, Moore signed with Epic Records and came to fame with the release of her debut single "Candy", which peaked at number 41 on the Billboard Hot 100. Her debut studio album, So Real (1999), went on to receive a platinum certification from the RIAA. The title single from her second studio album, I Wanna Be With You (2000), became Moore's first top 30 song in the U.S., peaking at number 24 on the Hot 100. As of 2009, Billboard reported that Moore had sold more than ten million albums worldwide. Timothy Francis Robbins is an American actor, screenwriter, director, producer, and musician. He is well known for his portrayal of Andy Dufresne in the prison drama film The Shawshank Redemption (1994). William Rankin Patton is an American actor and audiobook narrator. He starred as Colonel Dan Weaver in the TNT science fiction series Falling Skies. He also appeared in films such as Remember the Titans, Armageddon, Gone in 60 Seconds and The Punisher. He appeared opposite Kevin Costner in two films: No Way Out (1987) and The Postman (1997). Patton's father, Bill Patton, was a playwright and acting/directing instructor. Patton has been in many films, starting in 1981. He has done many television appearances as well, starting in 1982 and he has done a great deal of voice work with audio books. He won two Obie Awards for best actor in Sam Shepard's play Fool for Love and the Public Theater production of What Did He See?. Frank Wilton Marshall is an American film producer and director, often working in collaboration with his wife, Kathleen Kennedy. With Kennedy and Steven Spielberg, he was one of the founders of Amblin Entertainment. In 1991, he founded, with Kennedy, The Kennedy/Marshall Company, a film production company which has a contract with DreamWorks. Since May 2012, with Kennedy taking on the role of President of Lucasfilm, Marshall has been Kennedy/Marshall's sole principal. Marshall has consistently collaborated with directors Steven Spielberg, Paul Greengrass and Peter Bogdanovich. In addition, he received the Irving G. Thalberg award from the Academy of Motion Picture Arts and Sciences in 2018. Prabhu is an Indian film actor, businessman and film producer who has predominantly appeared in Tamil language films and also in a few Malayalam and Telugu films. He is the son of veteran actor Sivaji Ganesan, while his son Vikram Prabhu is also a Tamil actor. After making his debut in Sangili (1982), the actor has played a series of leading and supporting roles, earning the Best Actor award recognition by the Tamil Nadu state for his portrayal in Chinna Thambi (1992). Michael C. Lerner is an American character actor in film, television and theater. He was nominated for the Academy Award for Best Supporting Actor for his role in Barton Fink (1991). Lerner has also played Arnold Rothstein in Eight Men Out (1988), Phil Gillman in Amos & Andrew (1993), Mayor Ebert in Roland Emmerich's Godzilla (1998), Mr. Greenway in Elf (2003), and Senator Brickman in X-Men: Days of Future Past (2014). 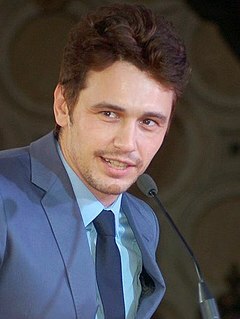 James Edward Franco is an American actor, filmmaker, and college instructor. For his role in 127 Hours (2010), he was nominated for an Academy Award for Best Actor. Franco is known for his roles in live-action films, such as Sam Raimi's Spider-Man trilogy (2002–2007); Milk (2008); Pineapple Express (2008); Eat, Pray, Love (2010); Rise of the Planet of the Apes (2011); Spring Breakers (2012); Oz the Great and Powerful (2013); This Is the End (2013); and TheDisasterArtist (2017), for which he won a Golden Globe Award for Best Actor. He is known for his collaborations with fellow actor Seth Rogen, having appeared in eight films and one television series with him. Sam Prideaux Robards is an American actor. Dante R. Basco is an American actor, voice actor and dancer. He is known for his role as Rufio, leader of the Lost Boys in the 1991 movie Hook as well as his voice-over work in films, TV shows and video games. Paul Calderón is an American actor. He is a founding member of the Touchstone Theatre, the American Folk Theatre and the LAByrinth Theater Company. He is also a member of the Actors Studio, auditioning and accepted as a member in 1984 alongside Melissa Leo and two other actors. Samuel Henry John Worthington is an English-born Australian actor and writer. He portrayed Jake Sully in the 2009 film Avatar, Marcus Wright in Terminator Salvation, and Perseus in Clash of the Titans as well as its sequel Wrath of the Titans. He then transitioned to more dramatic roles, appearing in Everest (2015), Hacksaw Ridge (2016), The Shack, and Manhunt: Unabomber. He also played the main protagonist, Captain Alex Mason, in Call of Duty: Black Ops. Randall Park is an American actor, comedian and writer. He is best known for portraying Kim Jong-un in the 2014 film The Interview and Eddie Huang's father, American restaurateur Louis Huang, in Fresh Off the Boat, for which he was nominated for the Critics' Choice Television Award for Best Actor in a Comedy Series in 2016. He has since starred in the Marvel Cinematic Universe movie Ant-Man and the Wasp as FBI agent Jimmy Woo and in the DC Extended Universe film Aquaman as Dr. Stephen Shin. 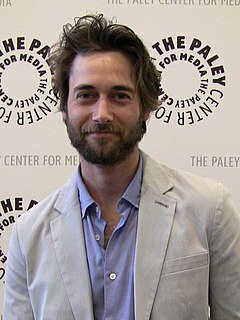 Ryan James Eggold is an American actor. He is known for playing Ryan Matthews on the CW teen drama series 90210 and Tom Keen on the NBC crime drama series The Blacklist and its short-lived spin-off series The Blacklist: Redemption. Currently Eggold appears as hospital director Dr. Max Goodwin, a main character on the NBC drama series New Amsterdam, which began in September 2018. Naga Chaitanya Akkineni is an Indian film actor known for his work in Telugu cinema. He debuted in the 2009 film Josh, directed by newcomer Vasu Varma and produced by Dil Raju. Josh was an average grosser. Prior to the release of his first film, he signed his second film with Indira Productions, directed by Gautham Menon. This film Ye Maaya Chesave co-starring Samantha Akkineni released in 2010, and was a critical and commercial success. After a few sub par films, he bounced back with Sukumar's 100% Love, co-starring Tamannaah. This was soon followed by the flop Dhada, co-starring Kajal Aggarwal and Bejawada. Chaitanya also appeared in the movie Autonagar Surya. 2014 saw him in the blockbuster Manam. In 2016, he starred in two films, the hit romance dramaPremam, co-starring Shruti Haasan, and the average running thriller Sahasam Swasaga Sagipo. Subsequently, in 2017, he starred in Rarandoi Veduka Chudham, which became his highest grosser. In 2018, he starred in the films Shailaja Reddy Alludu, which was an average grosser, and the thriller Savyasachi, which was a flop. He will be seen next alongside his wife Samantha in the romance drama Majili. This will be their fourth film together. Abhishek Saxena is an Indian Bollywood and Punjabi film director who directed the movie Phullu. The Phullu movie was released in theaters on 16 June 2017, in which film Sharib Hashmi is the lead role. Apart from these, he has also directed Patiala Dreamz, this is a Punjabi film. 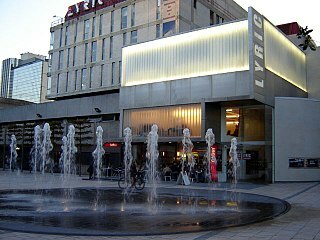 This film was screened in cinemas in 2014. ↑ "NOTABLE ALUMNI ACTORS". UCLA School of Theater, Film and Television. Archived from the original on 6 October 2014. Retrieved 29 September 2014.